Save energy and money with powerstrips. People who want to save money and help the environment may wonder, how do powerstrips save money? After all, a powerstrip is plugged into the wall and often has between four and ten other appliances plugged into it. The U.S. Department of Energy reports that nearly 75 percent of all power consumed by electronics occurs when the device is turned off. Called phantom or vampire energy, these appliances are drawing electricity despite being powered off. A common home energy saving tip is to unplug appliances when they are not in use. A powerstrip is a fast and easy way to unplug multiple appliances at once. This can help people save money on electricity. Leave large appliances, like water heaters and refrigerators, plugged directly into the wall to avoid overloading a strip. Products like Kill A Watt EZ can help homeowners determine which appliances are drawing the most electricity and energy in the home. This can help homeowners decide which appliances to keep plugged in and which to unplug. So How Do Powerstrips Save Money? It can be difficult to remember to unplug particular appliances and devices around the house when they are not in use. In this situation, powerstrips make it easy to switch off energy-draining devices while leaving on items that require programming and, therefore, save money on electricity. Unplugging a digital alarm clock, cable box or answering machine can require time and effort for reprogramming. Save yourself the trouble by keeping these devices plugged into the wall separately, while putting all of the other appliances onto one powerstrip. When leaving the room, house or going to bed at night, simply switch the powerstrip off. This will stop the appliances from drawing phantom energy when they are not in use. Although the powerstrip itself may draw a small amount of energy, it is negligible when compared to the amount saved by stopping the vampire draw of the energy-draining devices. 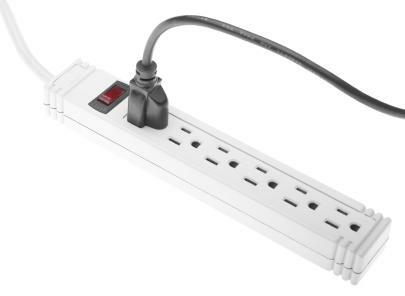 Certain power strips, like the Smart Strip Energy Saving Power Strip allow consumers to plug multiple devices into the powerstrip. With separate controls, it is possible to switch off draining appliances and electronics while leaving others on. While figuring out the answer to How do powerstrips save money?, it becomes obvious that powerstrips are an easy way to go green and save money. Electricity costs continue to rise, making it more difficult than ever for many to pay their utility bills. Incorporating small ways to save energy not only saves individuals money, it helps the environment and reduces wasteful energy use. Adopting strategies to save money that not only conserve energy but also save money is a smart way to help the earth and pocketbook. Energy efficient houses cost less to maintain and cost less strain on the environment.